How do we know are fire hose is ready to go? 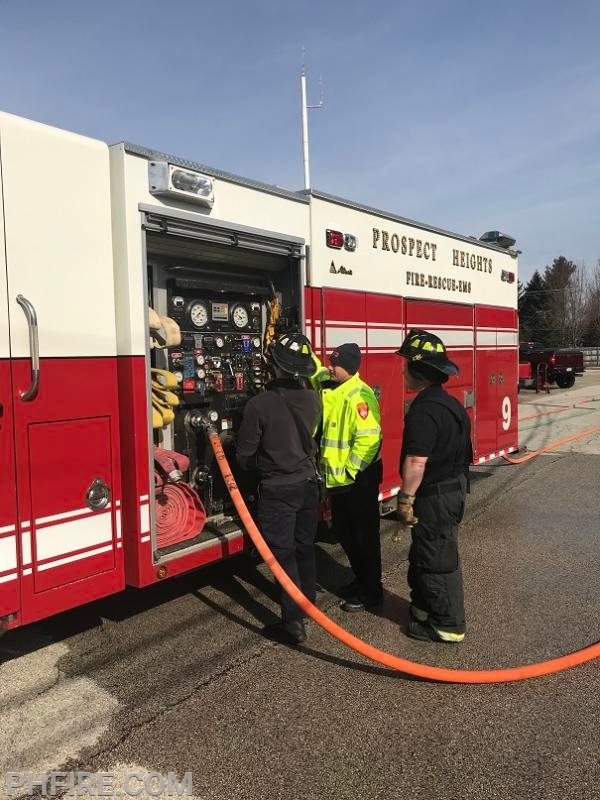 How do we know are fire hose is ready to go? The simple answer is we test it. Every year every piece of hosing is pressure tested to make sure there are no leaks in the hose. Leaks can occur for a variety of reasons. Some of the main factors to consider are: age of the hose, amount of use the hose gets, and also what the hose has been exposed to. 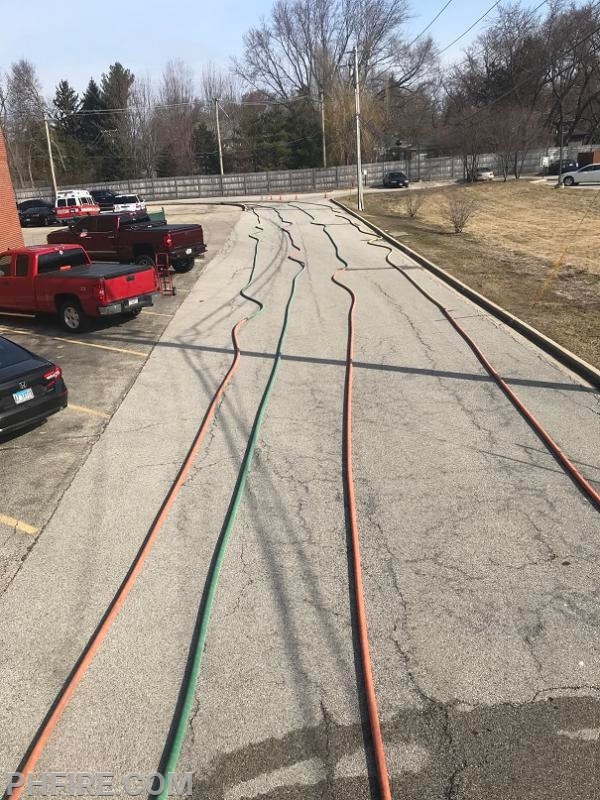 By pressure testing the hose on an annual basis, the firefighters minimize the risk that the hose will have problems when needed. Our newer engineers have a great opportunity to practice their skills in a controlled environment. This training is very beneficial for the development of our engineers to be very competent when needed in a real situation. 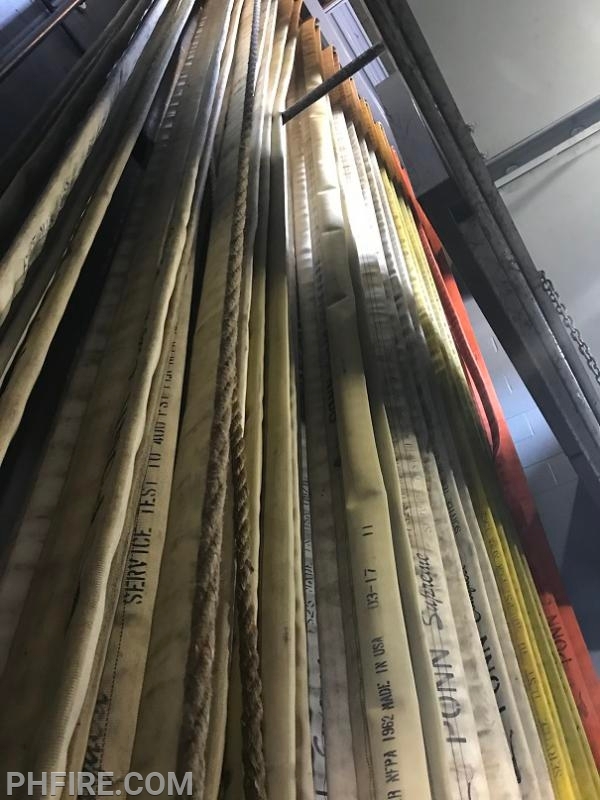 This is our hose tower where we hang hose to dry before being rolled and placed back in "ready status"
Each hose is laid out and pressurized to test for leaks.